In the North-Western part of Peloponnese, the visitor has the opportunity to combine the advantages of being in a city whereas at the same time to know an incredibly beautiful location full of green forests and picturesque villages in low hills and higher mountains. The capital city of Achaia region is Patra. To start your tour choose as your starting point this city and see the differences from one place in the same area to another and a unique way of everyday life. Day first and before you begin is important to know that it is better to reach Patra by car in order to make as many stops as you like and to do smaller trips in the wider area around the city. If this though it is not an option then, by bus it can be easily reached as well. If you start your trip early in the morning you will probably enter the city before noon so it is better to have yourself checked in in your hotel if possible and then continue touring and observing around. A really nice option is Maison Grecque Hotel in the center of Patra. A neoclassical building turned to a warm and tasteful boutique hotel that has all a guest needs to feel like home. Excellent breakfast and services in spaces reformed just to make you feel comfortable and cozy. Another really good option is Byzantino Hotel in another neighborhood in Patra. In a neoclassical building also brings something from another era in Greece. High aesthetic and elegant decoration in the rooms and a nice bright common space. After you have left your belongings to your room it is time to go outside and experience the town. Patra features a great port and it is the third biggest in Greece also of a great commercial value. It is the direct sea connection of the country with Italy and other Mediterranean countries and their ports. Also, due to this port, it is easier for the people to pass across and travel to the Ionian islands or to make a cruise along the Mediterranean Sea or other Seas nearby. 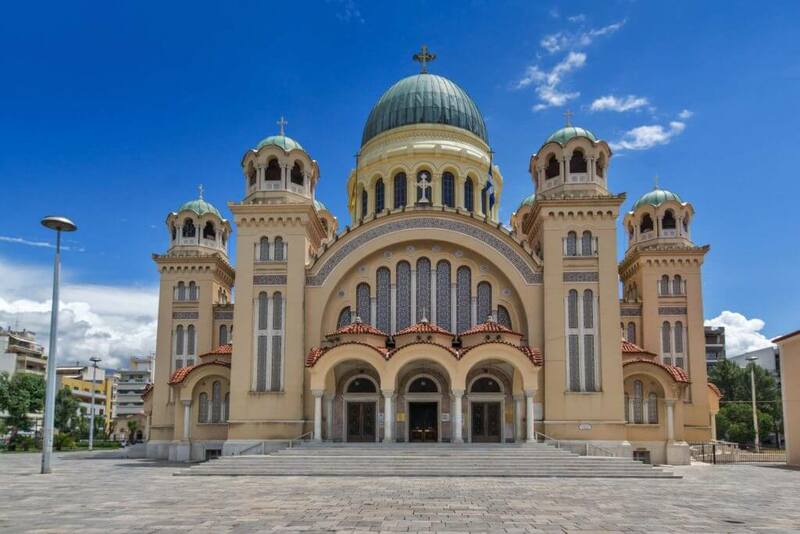 Next, you can visit the most extraordinaire church in Achaia, Agios Andreas. It is known to be the protector saint of the city and this particular church is the most beloved of all residents. With its golden dome and the enormous size stands for decades and has, of course, a long history behind it. It is worth it all in all for its awesomeness and the things that you are about to learn for Patra as you are making a little of research of your own in travel guides and books for how it has been built and what it stands for the locals. Have a nice walk along the seawall by the coast and visit Faros the Lighthouse on the edge of the port. Observe the city and the Ionian Sea and watch the colors changing in the sky by different weather and seasons. Inhale the sea air and let yourself feel for a moment all the surrounding environment! 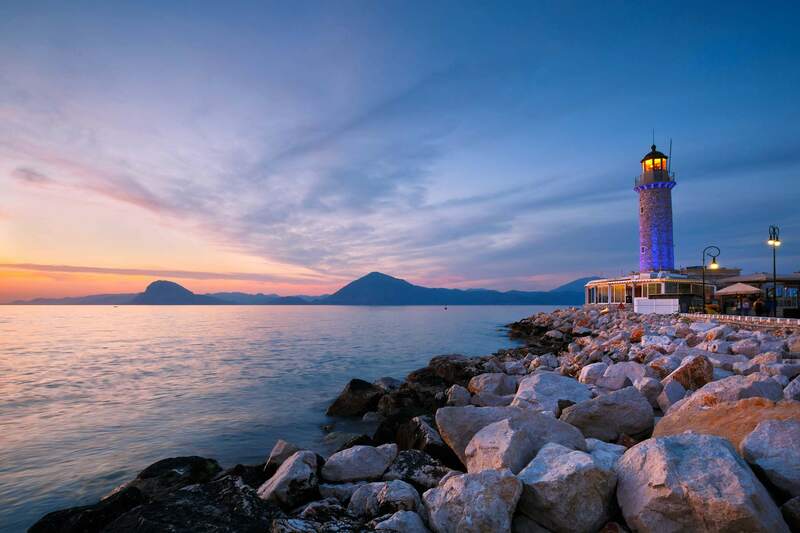 You may have your breakfast in the area of the Lighthouse and then continue your walk to the city’s center and the shopping district in Patras streets. When you feel you have enough of shopping for you and your beloved ones you can go up to explore the Patra’s Castle. 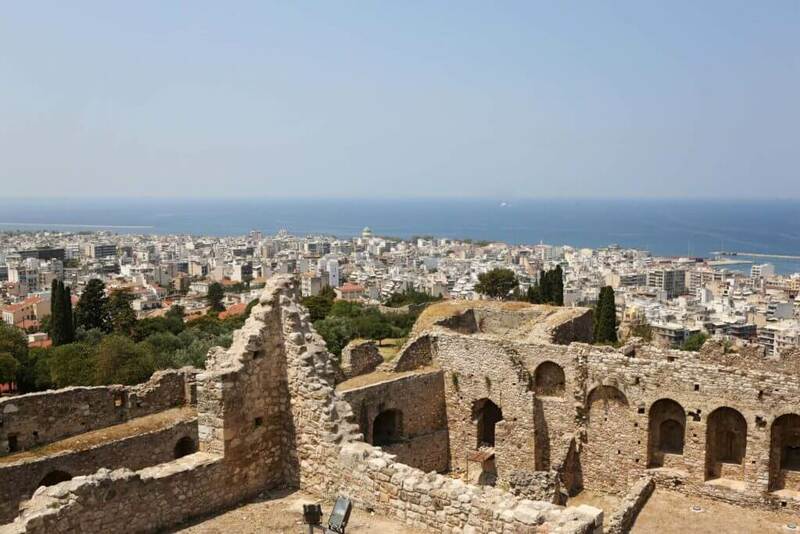 Patra’s Castle stands above the city overlooking the whole area all the way down to the sea. It is dated back to the 6th century AD and it is very well preserved and it is also of a great meaning and historical value for the region through the ages. The Castle is located on the slopes of Panachaiko mountain and just because the view is stunning have a cup of coffee there in the cafeterias down the hill and take some rest before you continue your busy day. Right after that, lunchtime has come and you have to make a choice among very nice and famous for their cuisine Peloponnese restaurants. An excellent choice, Navarchon Gefseis, is beloved by locals in a central spot. In one of the most beautiful corners of Patra, you can enjoy the best fresh meat and local dishes. One other could be Pirouni. Here you can taste authentic Greek creations along with locals and students, travellers and those who seek the original tastes with the best ingredients. If you prefer to eat by the sea you can have your lunch at T’ Asteria. A lovely restaurant with tables at the shore with the view at the sea and the Patra port. Fish and seafood are best dishes you can have! 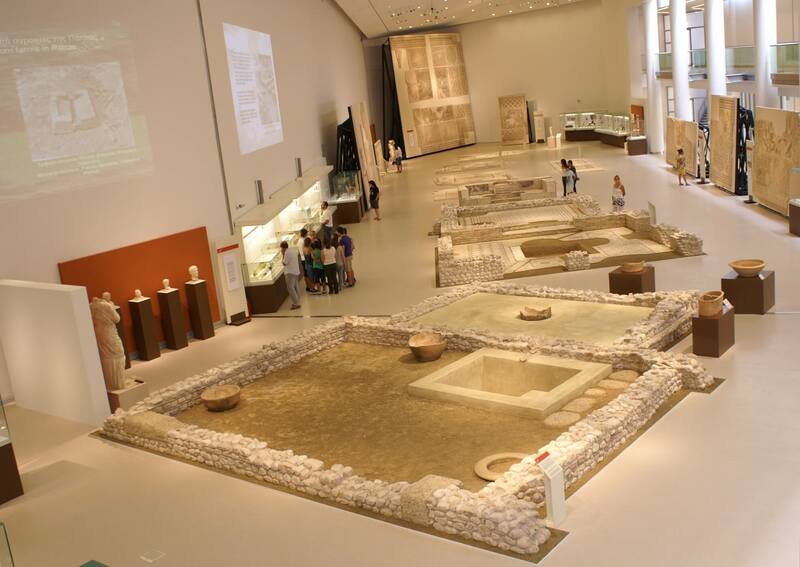 Since you have loaded your batteries and relaxed a bit you may now go for a visit to the Archaeological Museum of Patra. 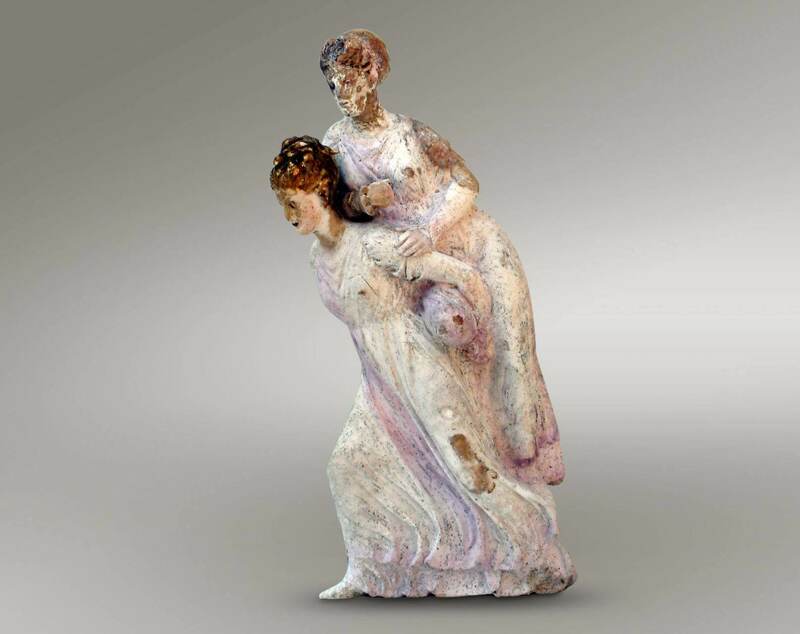 A modern museum with great exhibitions and a huge range of ancient findings that will give you an extra knowledge of Greece and Achaia in different eras and periods of time. Afternoon and you have already seen the most important sightseeing and points of interest in town, so there is nothing better than to go to your hotel have a couple of lazy hours there just to feel strong again to have some fun at night. Patra is a city that due to the University and other schools consider to be a city of great entertainment with many options to have an unforgettable night out. Do not miss the opportunity to live this from close up! Lennon Eco – Gastrobar is a funky place for great food and some really nice choices in cocktails and drinks. Also, I Segreti Di Pasta is a pasta restaurant with warm atmosphere and romantic decoration for special nights in privacy and cozy music. Moreover, do not leave Patra before you try the famous dessert wine Mavrodafni. Amazing, rich flavor that will carry you away! On your second day, and after a good breakfast hit the road to new experiences. A few kilometers outside Patra there is the emblematic Rio-Antirio Bridge. A huge and absolutely important construction, that managed to make it a lot easier for the locals to get to the other side, in Sterea Ellada region, with safety and of course in shorter of time. Take some great photos there and if you have started early enough in the morning, then you have time for a nice coffee in the many cafeterias there with the view of the bridge and the Corinthian Gulf. You are heading towards Achaias’ most famous little town for its beauty and the unique natural spots, Kalavryta. Kalavryta is a historical town with amazing landscapes around and deep roots in tradition and local customs. Famous for the cuisine and the old recipes, the sweets and good wine. For a good night sleep choose between the elegant hotels in the area such as Aphrodite’s Inn that is surrounded by exquisite fir and pine trees, with a panoramic view to the town of Kalavryta, will offer you a unique feeling of tranquillity and warmth. Another great suggestion to choose between Peloponnese hotels is Kalavryta Hotel Georgio’s V Chalet the traditional guesthouse lives and breaths in a unique location, on the green and full of fir and pine trees slopes of historic mountain Chelmos. 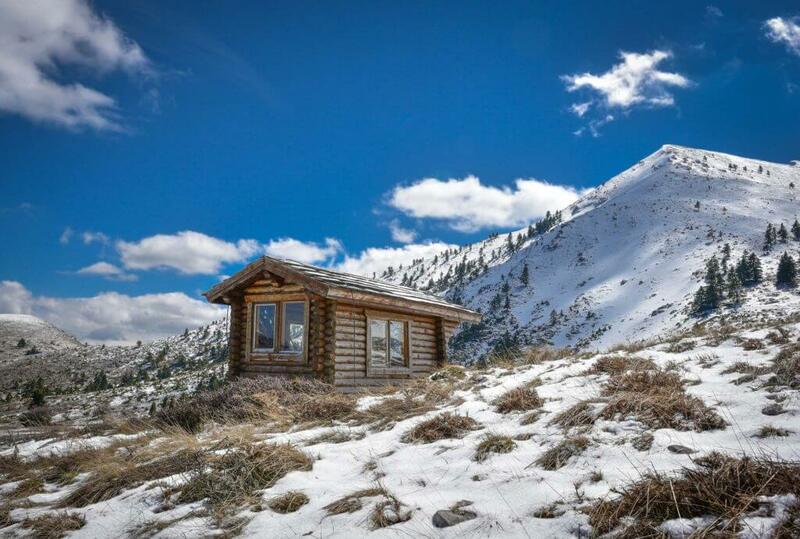 Kalavryta is supposed to be for most Greeks a winter destination due to the ski center on the Chelmos mountain. But, for those who like to discover places and enjoy them all year long Kalavryta is a real treasure. With many forests and paths in them, rivers and valleys are a unique origin for the nature lovers and the people that can estimate original values. Wander hours and try new things in the area such as kayak by the river or trekking following the paths in the forests. By noon visit one of the great traditional restaurants and tavernas and indulge to full-of- taste dishes with flavors you have never tried before. To mpalkoni tou Krassou is an excellent choice in a friendly, warm atmospheric environment that offers good food at reasonable prices. Additionally, Varvitsiotis that the history of local taste in Kalavryta is related to this tavern since 1973. After your lunch, and before it gets dark, take Odontotos train and have one ride of your lifetime crossing the Greek nature and observing the miracles of the forests around you from an old, classic train, still in function though, taking marvelous pictures and feeling like a child again, who has just entered a magical, secret place!